Wow! 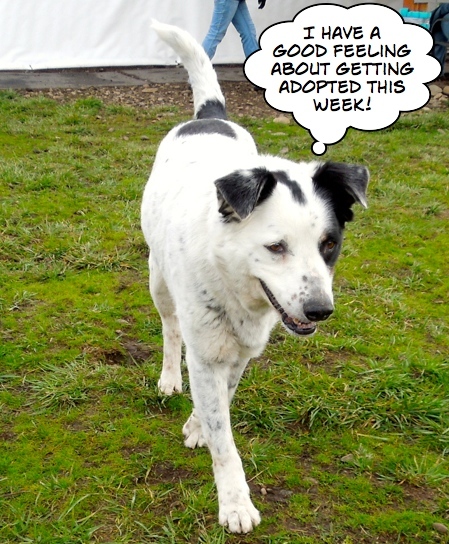 What a great week for dog adoptions, not only for some long-termers, but for some newbies to the shelter as well. I am thrilled to be able to report the following happy new beginnings. The staff sent me this picture of Ramona going home with one of the WHS Board members! They also sent this one of puppy Stanley going home. He’s going to grow up into a big boy! 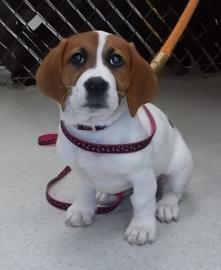 I happened to be at WHS when Poppi went home with her new family and got this shot. 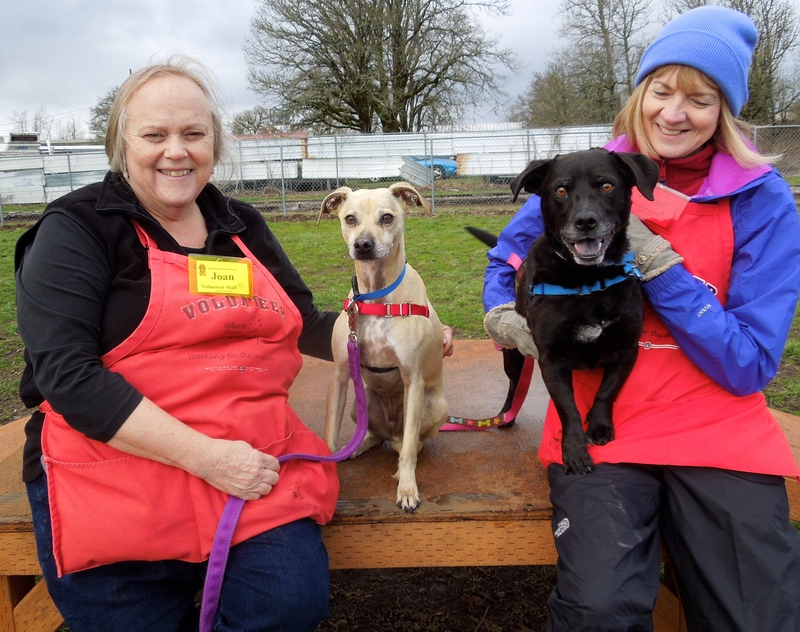 Lemon was adopted by a couple you see nearly every week in my posts, Steve and Joan, two Wednesday afternoon dog walkers. 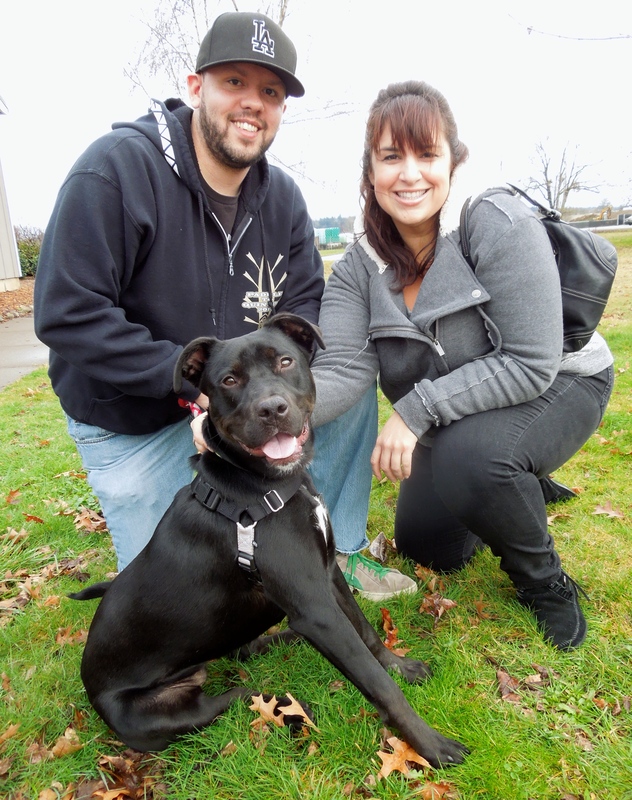 They fell for this girl instantly and were sad when she was adopted before they made their move. When she was returned because the family wasn’t the right fit for Lemon, Steve and Joan took her home. 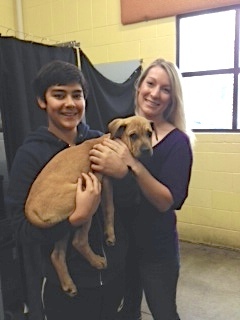 Her name is now Amber and she is one lucky dog! Remember this shot with Joan a couple of weeks ago? I think Amber knew her life was about to become a whole lot better! It was good to be back in play group on Sunday once again. 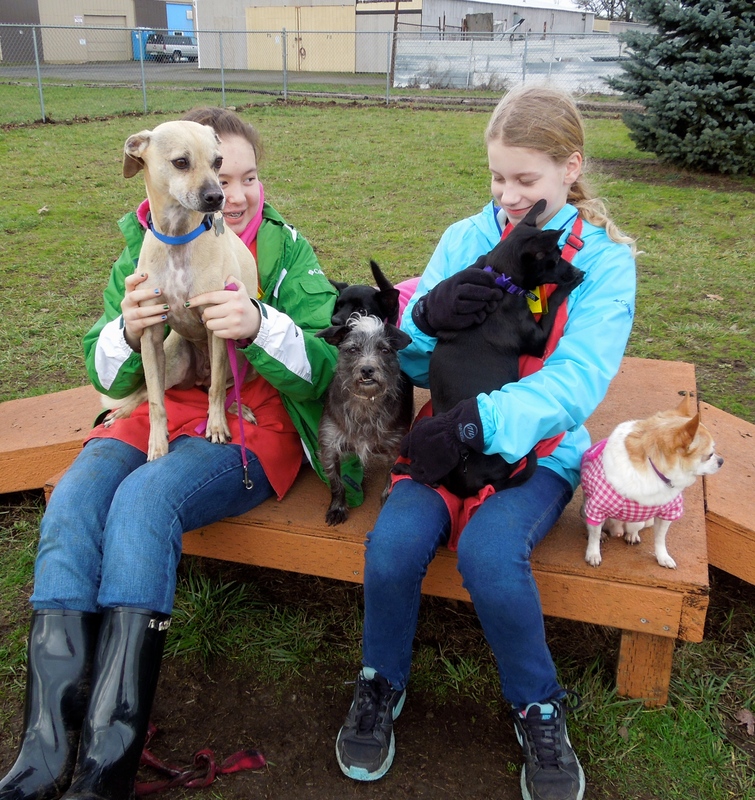 We currently have a lot of small dogs and Harmony and Ali had a blast with them. They all seemed to think they are lap dogs! I happened to catch Peanut, a six-year-old Chihuahua, in an awkward moment. 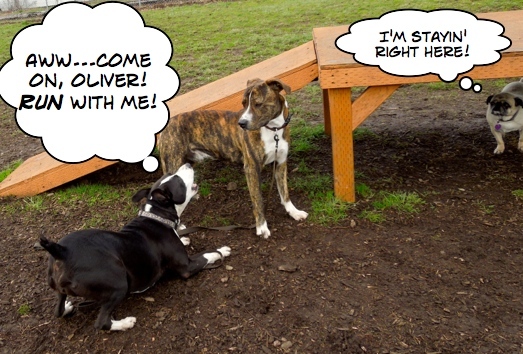 Luckily Cosmo is his best friend and he took it in stride. In the big dog yard, there was the usual chatter. Mia wanted Oliver, a one-year-old American Staffordshire mix, to play chase but Harley (volunteer Sherrie’s dog) wanted nothing to do with the game. 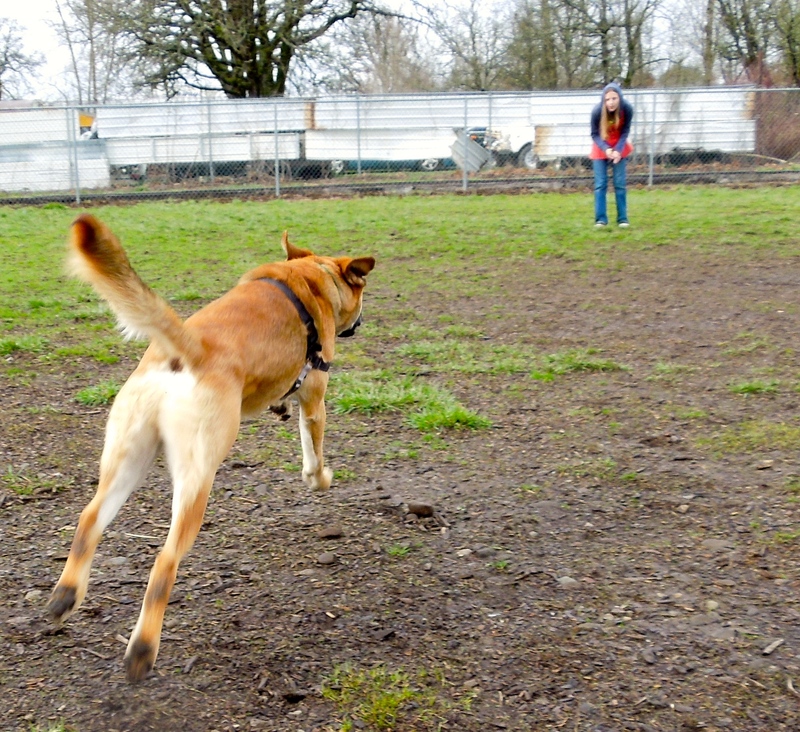 Cromwell, a one-year-old Shepherd mix, enjoyed simply racing around the yard. Casper had other things on his mind. 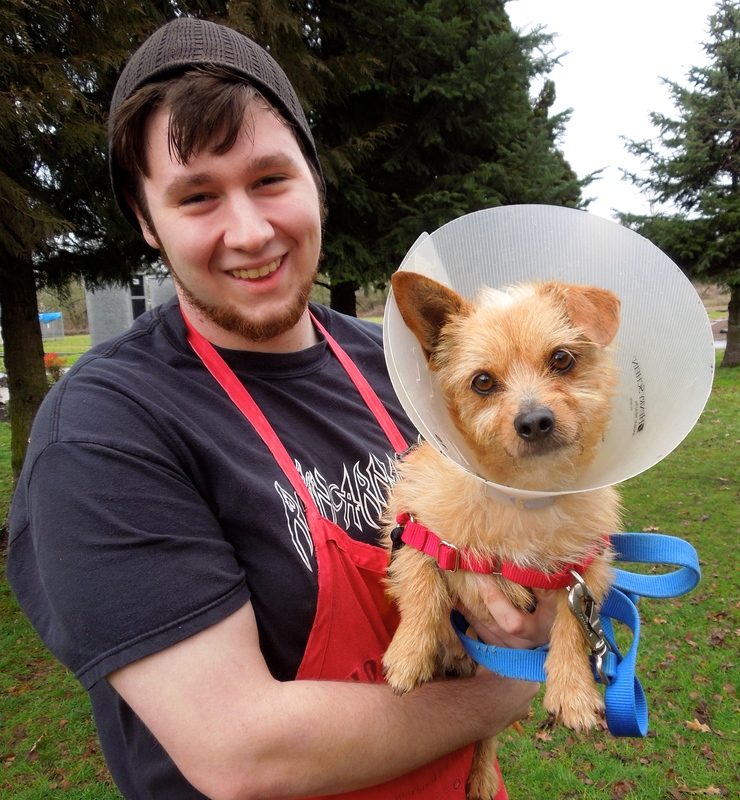 Sunday was a busy day at the shelter. There were lots of visitors looking at dogs and lots of new dogs for me to photograph. 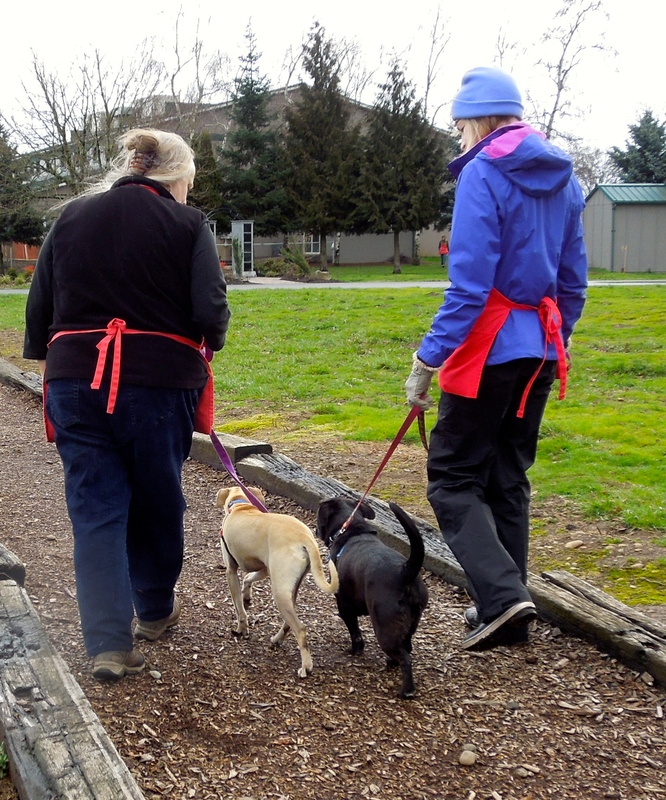 I am lucky to have so many dog walkers who are happy to help me and let me snap pictures of them as well as the dogs. First was Bruce and little Fischer. Don’t mind my cone, it’s only temporary! Fischer is a one-year-old Chihuahua mix with lots of energy and personality to match. He’s got that one-ear-up-one-ear-down thing going on which makes him even cuter. He walks well on leash and loved my hot dog bits. We’re not sure he is completely house trained. He would benefit from coming to a WHS training class, as he’s still a youngster. 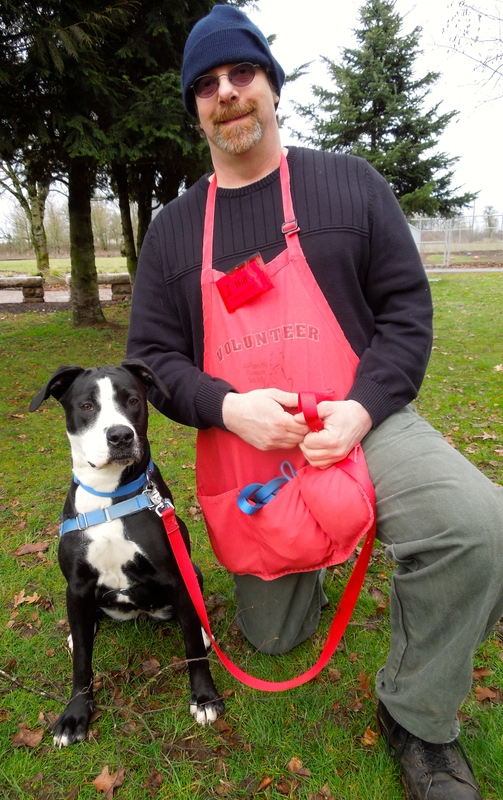 He is gentle and will do well with kids in an active family. He enjoys posing for pictures! I’m looking for a quiet retirement home. Could it be yours? 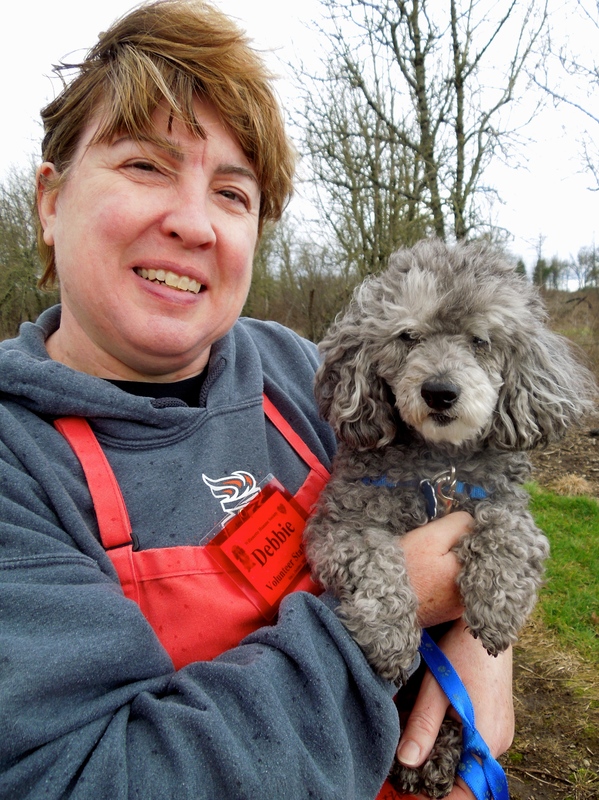 How quickly can a dog become a favorite among volunteers and staff? Just ask Lady Lilac and she’ll tell you it can happen instantly! Lady Lilac came to us after the death of her owner. She is thirteen years old and, not surprisingly, has some age-related issues. 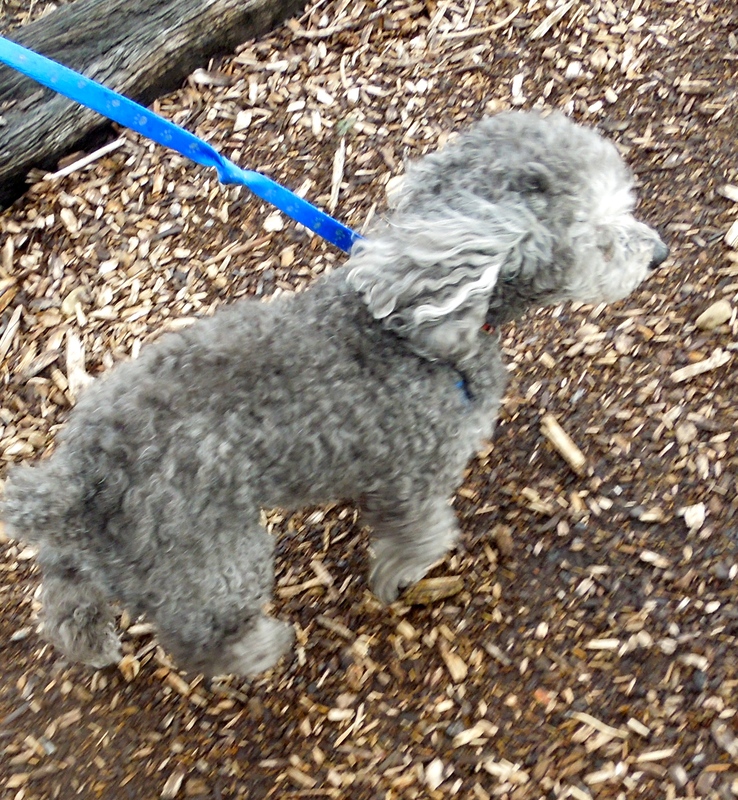 She is a gentle and extremely sweet purebred Miniature Poodle. She, and we, are hoping for a quiet, calm family who will care for her for the rest of her life. 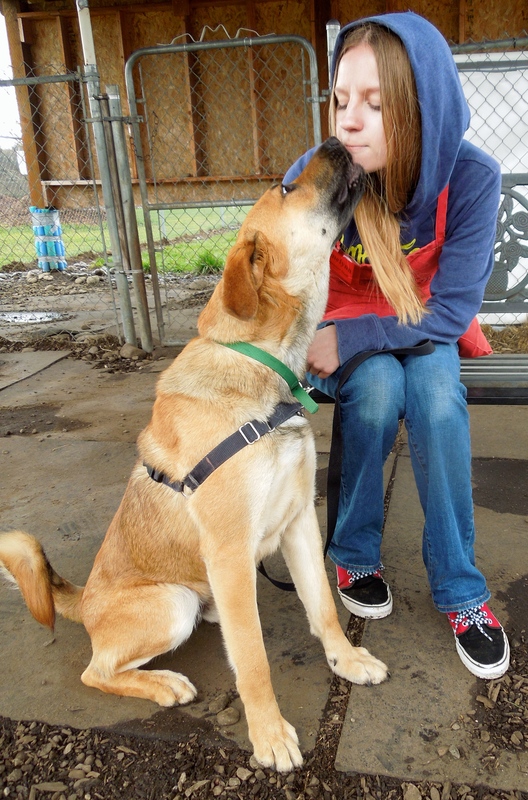 Taya fell in love with her just as we all have. 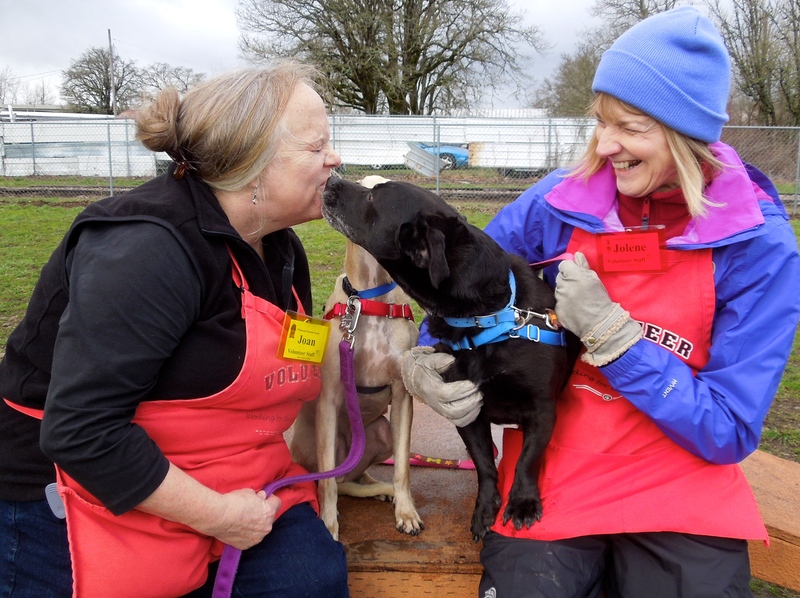 Here was Lady Lilac today with Debbie. As she pranced down the trail, she certainly didn’t seem to be thirteen! Yes, I’m a very short Lab mix and my best friend is Peanut! Two S.T.A.R.T. 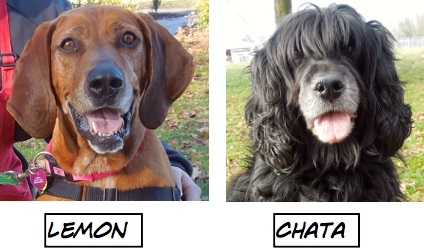 newbies from California are Cosmo and Peanut. Cosmo is a six-year-old Lab/?? 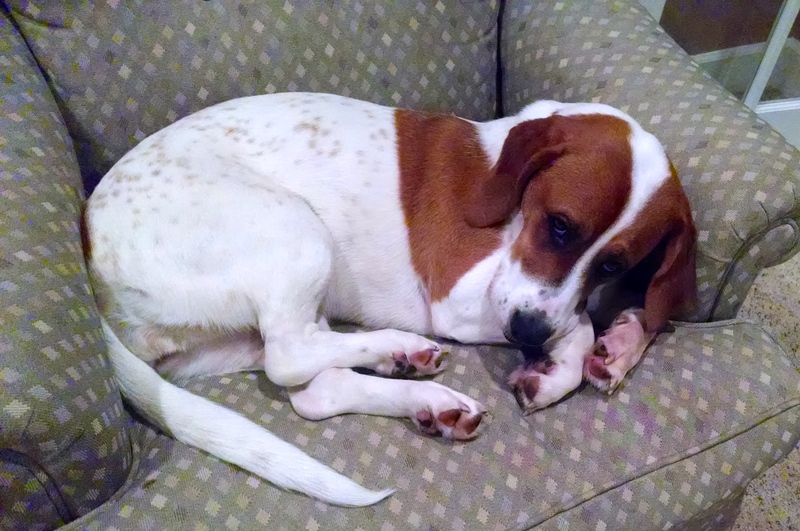 mix (Basset Hound? Corgi?) He’s not quite sure. He looks like a Lab on very short legs. 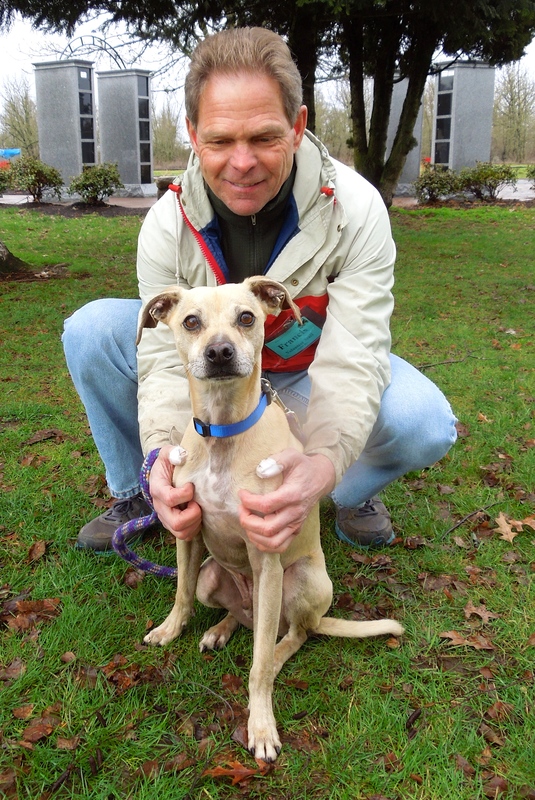 We do know that he and Peanut have been together most of their lives and would like to go to a new home together. Both are happy, playful dogs as we found out in play group on Sunday. 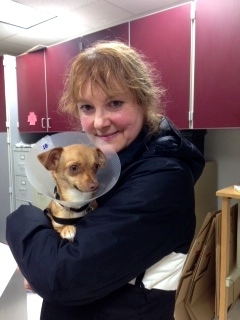 Here Cosmo is with Diane who found him to be a delight. That’s right, my best friend forever is Cosmo! Peanut is a six-year-old Chihuahua mix. 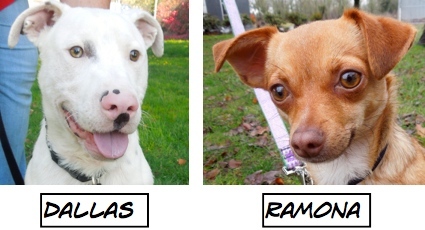 He and Cosmos were abandoned by their owner in California, so are looking for a new Oregon home together. 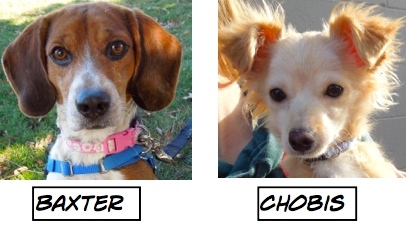 They have a great combined adoption fee. 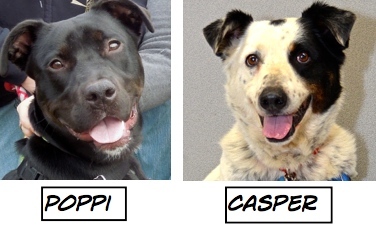 Since they are a bonded pair, we are rooting for them to go to one home. Here Peanut was enjoying some time with Francis on Sunday. 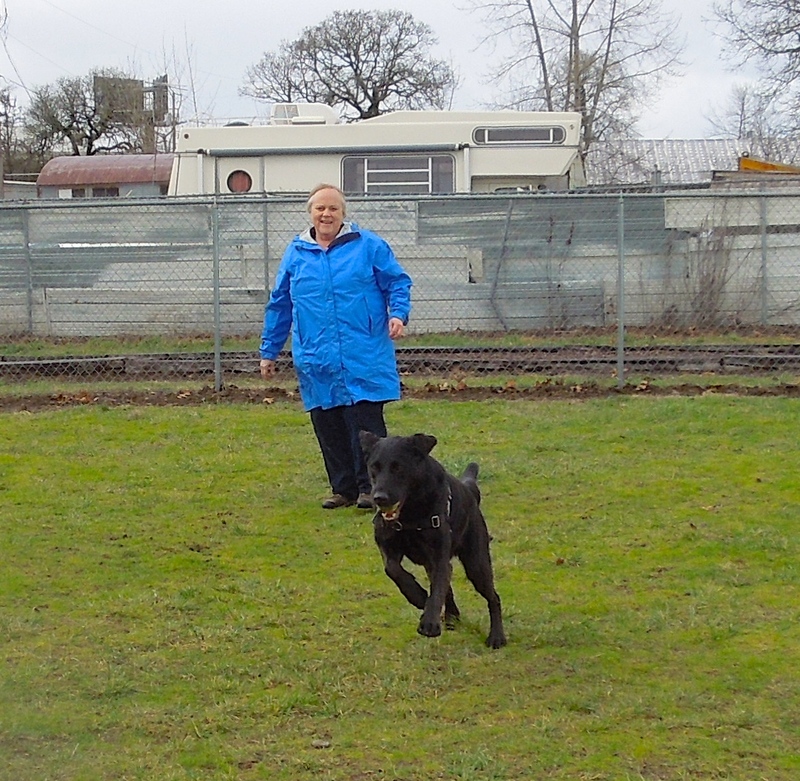 Today Joan and Jolene took the pair out and had a great time playing with them in the big yard. I’m still here…I’m a gentle giant; just no cats, please. 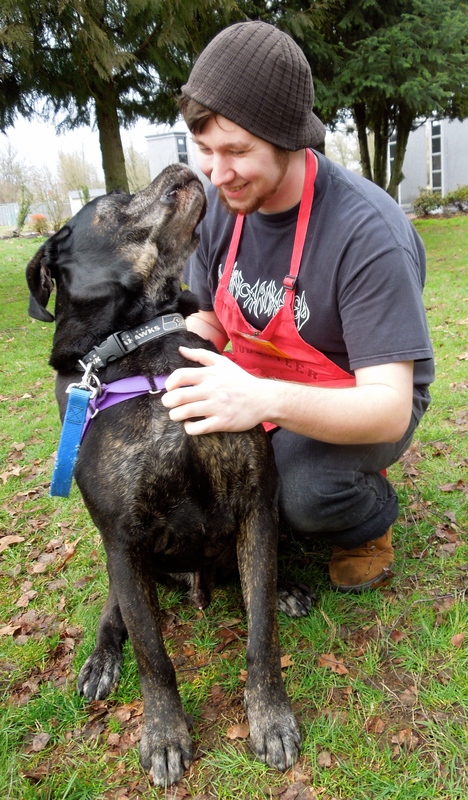 Max is still waiting for his perfect fit…a home with no cats. (Max just can’t help chasing them.) At 109 pounds, this Rottweiler mix is a big boy. 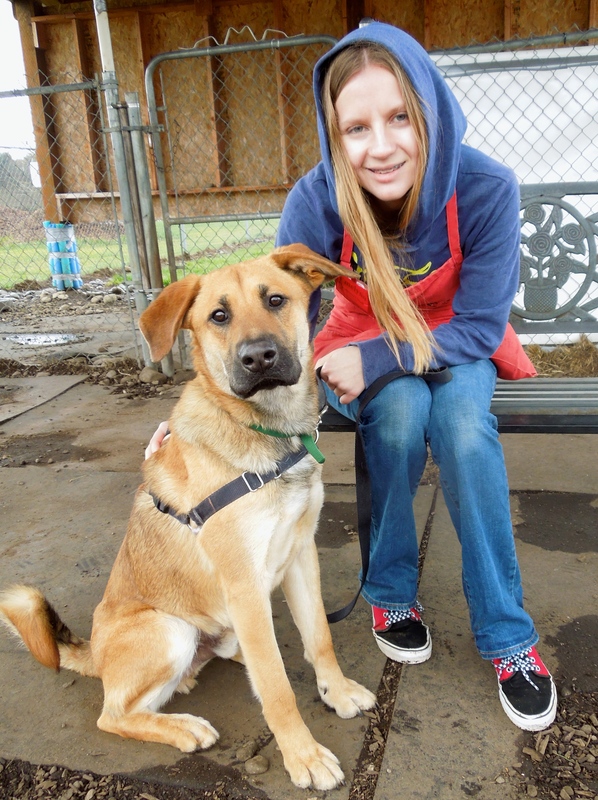 He gets along well with other dogs and did great in the home with the kids. As you can see he’s a big teddy bear with people. Here he is with Bruce. 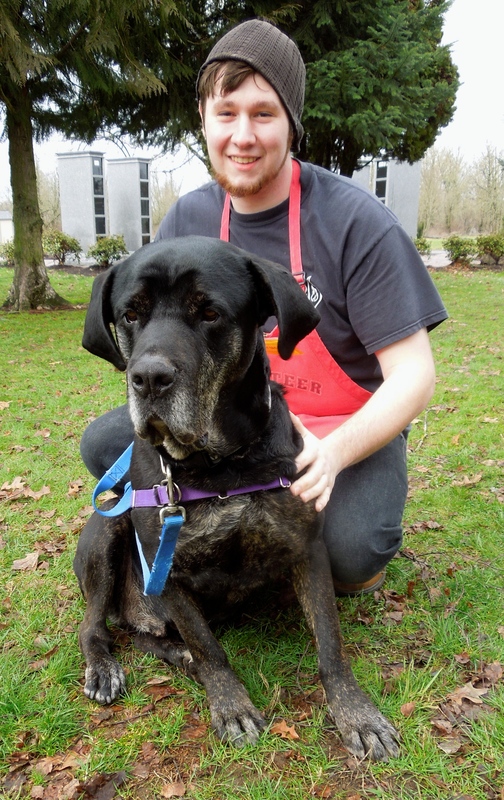 Max isn’t a really active guy, more of a couch potato (if the couch is a big one!). We’re hoping he won’t have to stay much longer at WHS. I’m young, eager, and can’t wait to meet you! 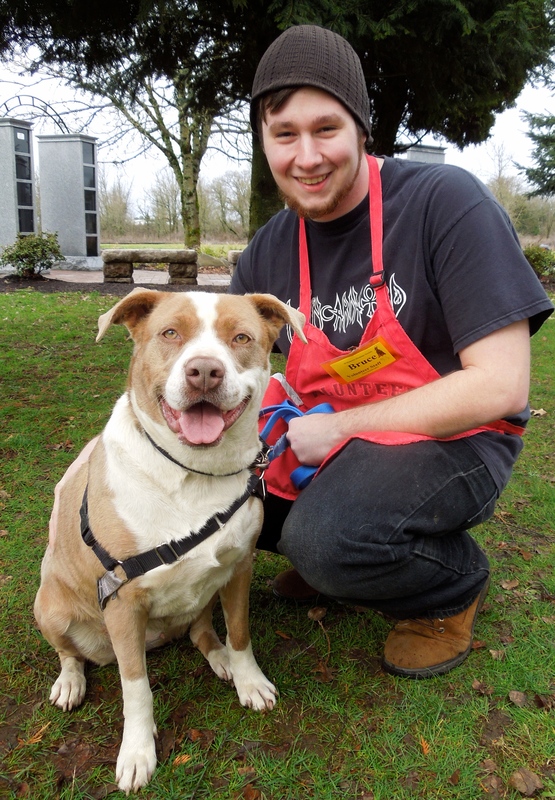 Nike is a one-year-old Pit Bull Terrier mix who enjoyed hanging out with Bill on Sunday. 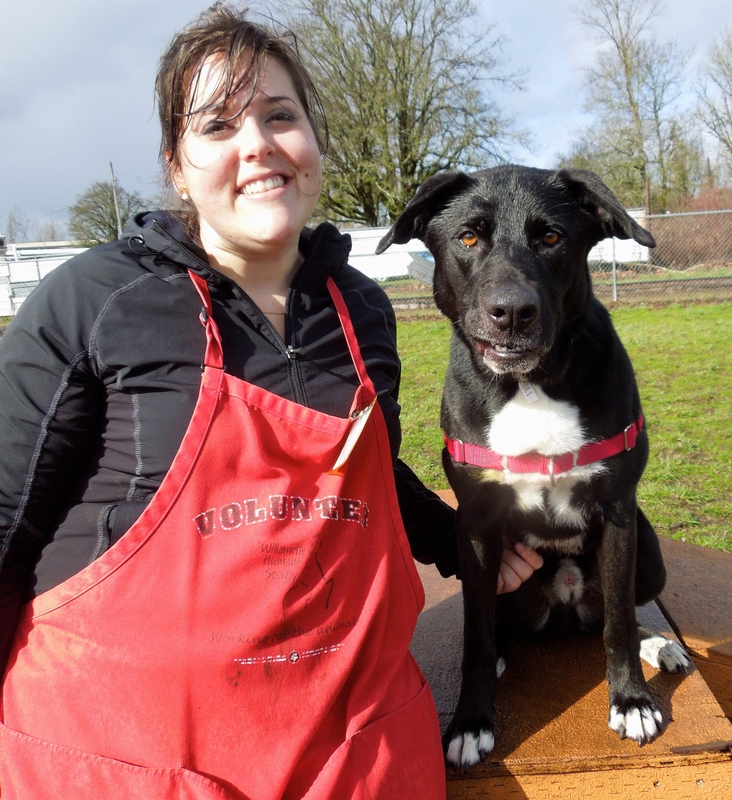 She is an active young gal who is waiting for a family to match. 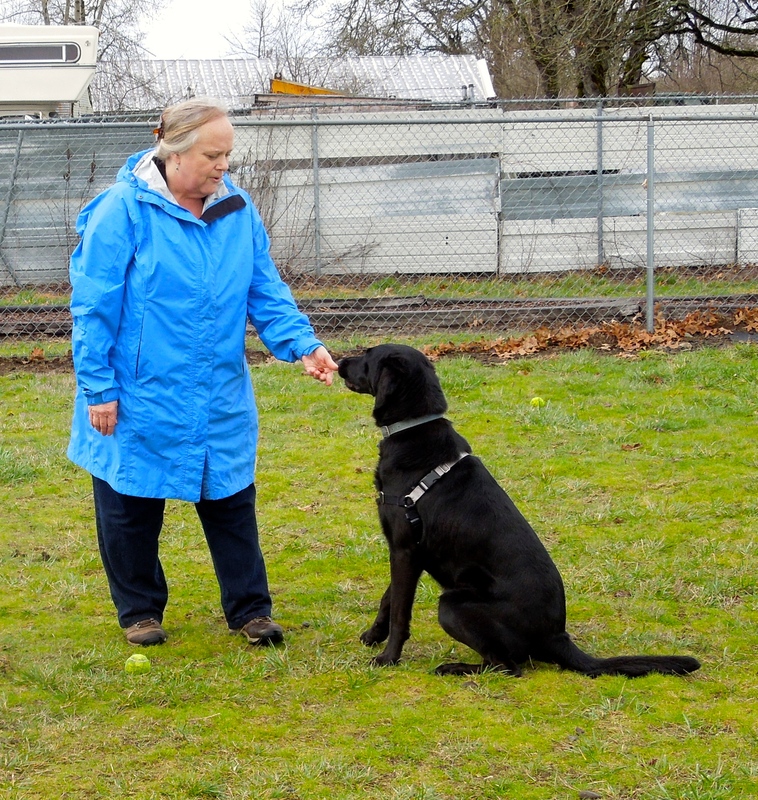 She would love to attend some of WHS’ training classes to add to things she already knows, like sit. Nike was found as a stray, so we don’t know anything about her history, but she likes people and has gotten along with other dogs at the shelter (she prefers males). She’ll make a great dog for a family with older kids. See this smile? You could wake up to it every day! 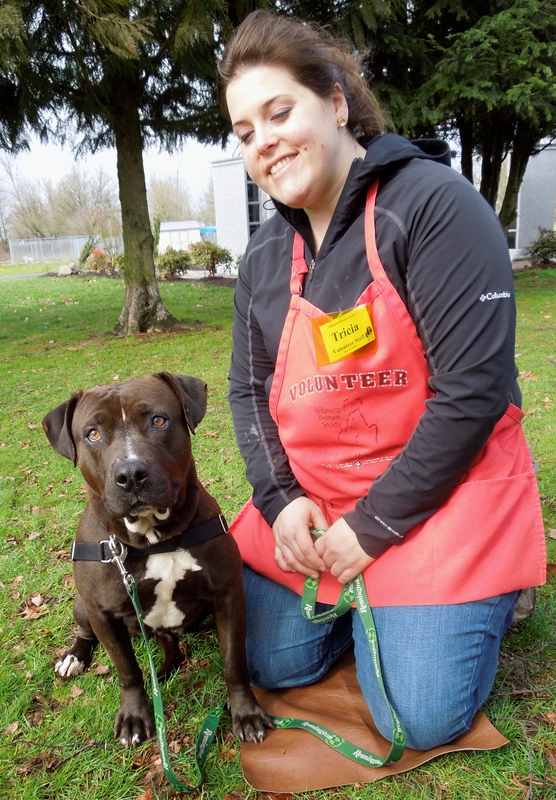 One of the newbies at the shelter is Sasha, a one-year-old Bull Dog/Pit Bull Terrier mix. Sasha is a S.T.A.R.T. dog from California. While she is great with people, she will need to be an only pet. 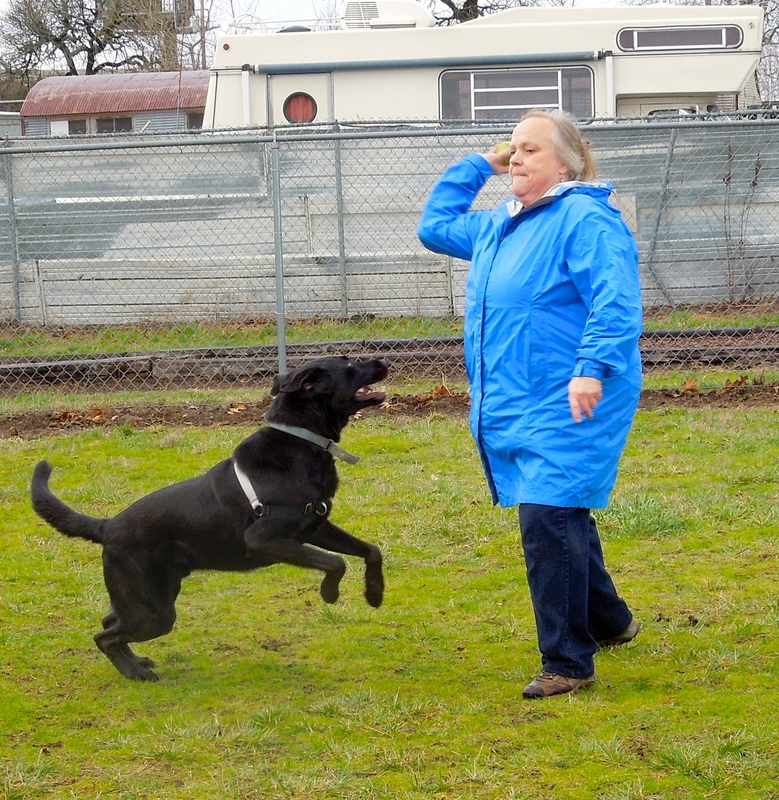 She has lots of energy, so will need an active family with older kids. Although she hates to admit it, she is a little on the chunky side and would appreciate some help to lose some of the pesky extra pounds she’s put on. Bruce and Sasha had a great time together on Sunday. 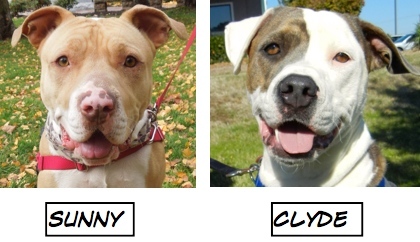 We’re still here waiting for a family who will adopt us both! 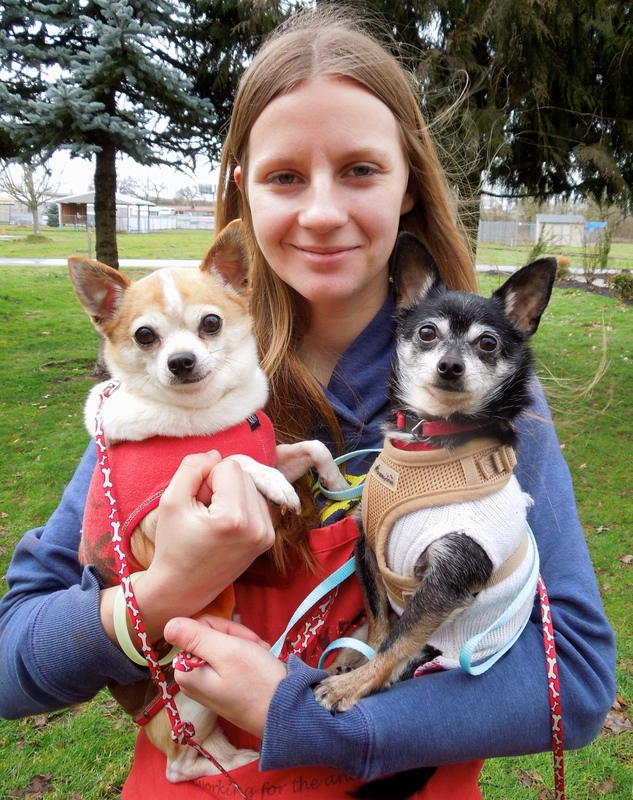 Remember Rico and Quilo, the bonded pair of Chihuahua mixes from last week? 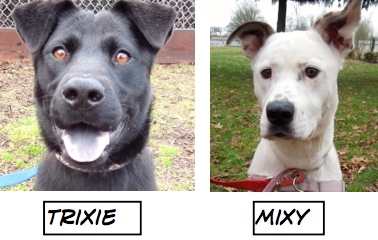 They are still hanging out in their kennel hoping for a new family. I snapped this picture of them before I left Sunday. They are six and seven years old and are sweethearts. I hope they will find their new home together very soon. Emelynn and I took them out this afternoon. They really seemed to enjoy posing for my camera. I’m looking for a new family. Think it could be yours? 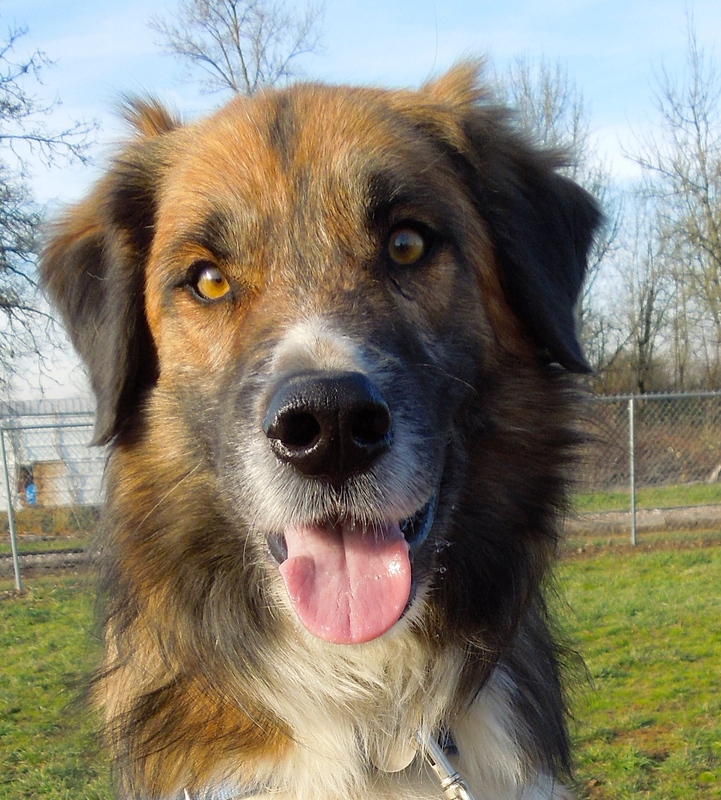 Logan is a four-year-old Lab/Border Collie mix who is just about the perfect boy. He has had some training (will sit and lie down when asked), is house trained, polite, gets along with other dogs (and maybe even cats!) He will need a secure yard. Logan spent some happy time with Trish today playing ball. He’s great at chasing it, not so great at bringing it back. I have a feeling he will find his new family soon! I’m new to the shelter but I have become a favorite here already! 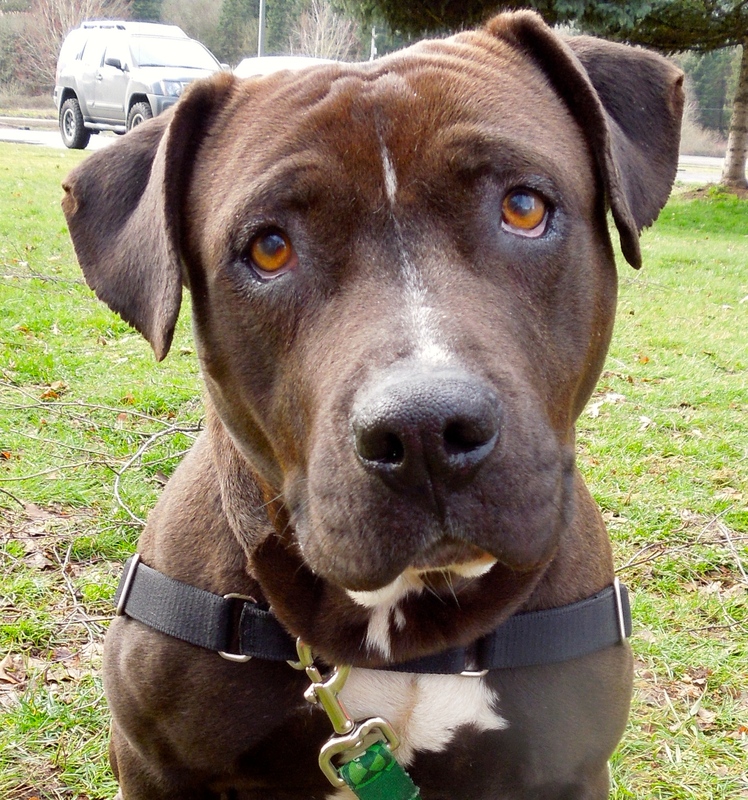 This is Maggie, a three-year-old Akita/Pit Bull Terrier mix who is such a sweet girl. She has been mostly an outdoor dog, and would like to spend more time indoors. She loves kids and other dogs. She is house trained and knows several commands. Jolene said she walks great on leash. Sounds like the perfect family dog to me! 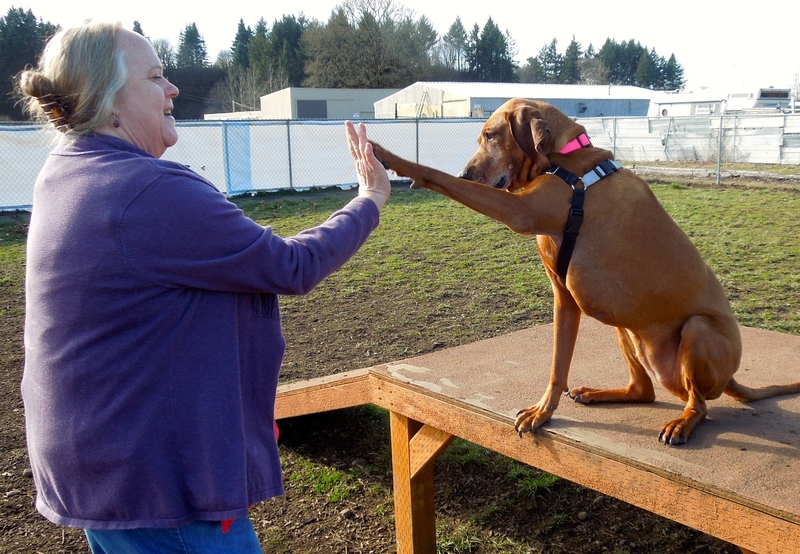 When you first meet me, I may seem a little shy…but watch me play! 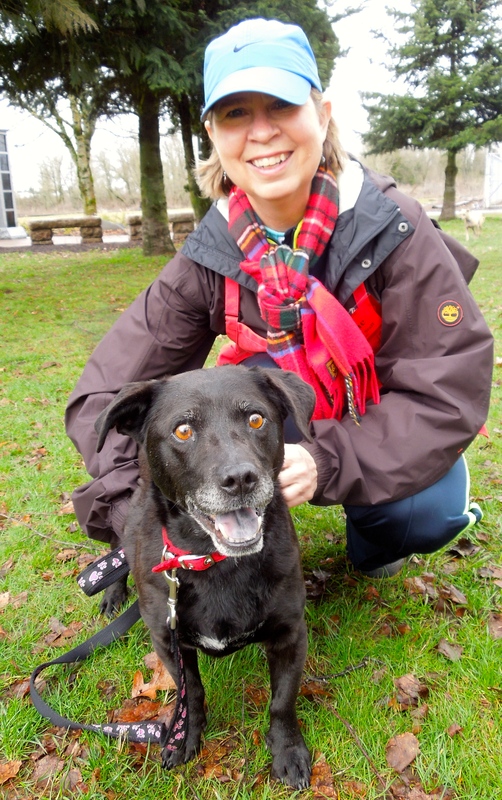 Marlo is a four-year-old Lab mix who at first meeting is quite shy. Joan took him outside and he really didn’t want to look at my camera. But a little later, Joan called me over to the big yard. 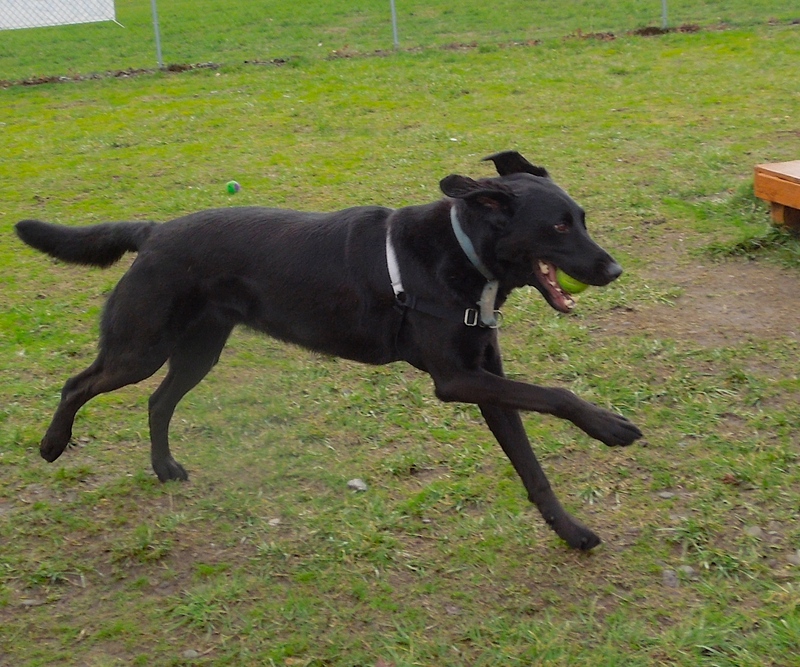 Marlo had come out of his shell and was having a blast playing fetch. It was great to see him having so much fun! He will be such a wonderful addition to an active family! I don’t have my cone anymore! 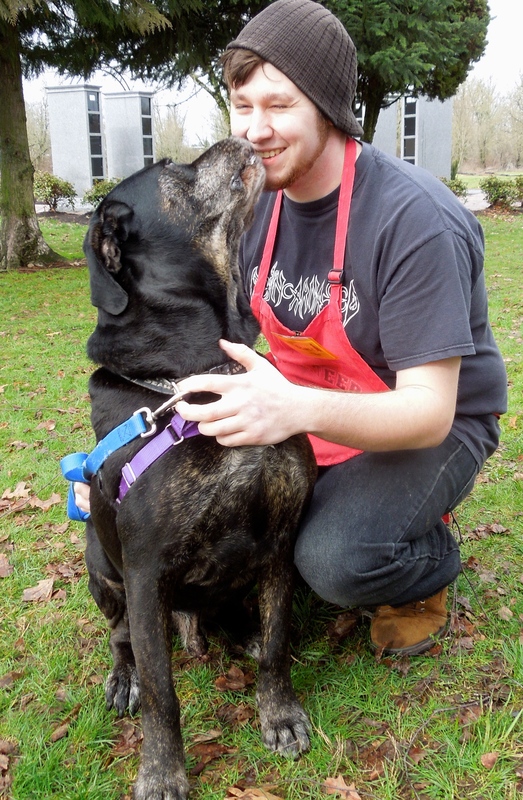 A couple of weeks ago, I introduced Sheba, a four-year-old Boxer/Pit/Lab mix. She was wearing a cone after being spayed, but was being a good sport about it and not complaining. 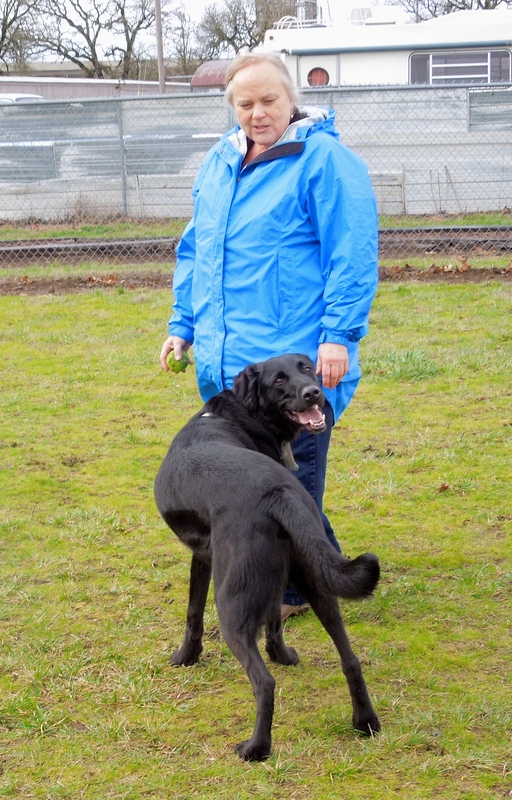 Today the cone was gone and Trish took her out for a long walk. I don’t know when I’ve seen such sincere eyes. 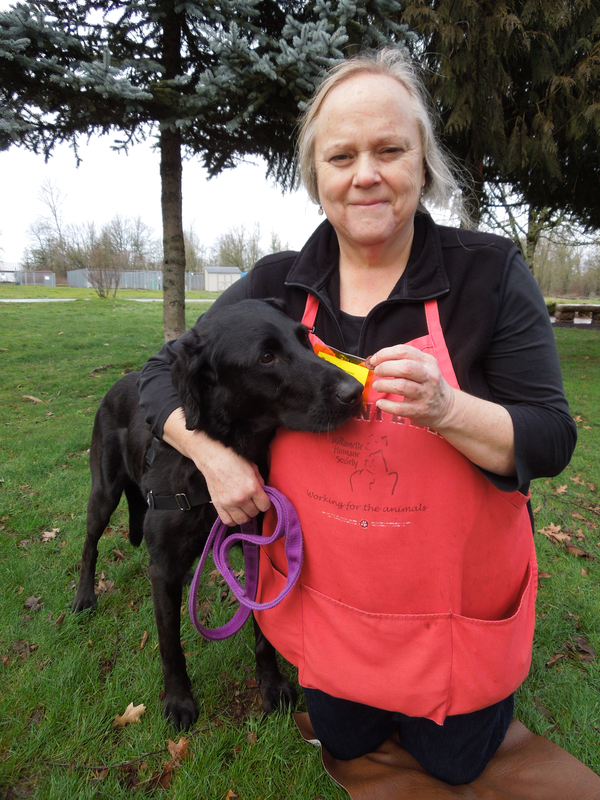 Sheba is well-mannered, knows some commands and took my treats politely. 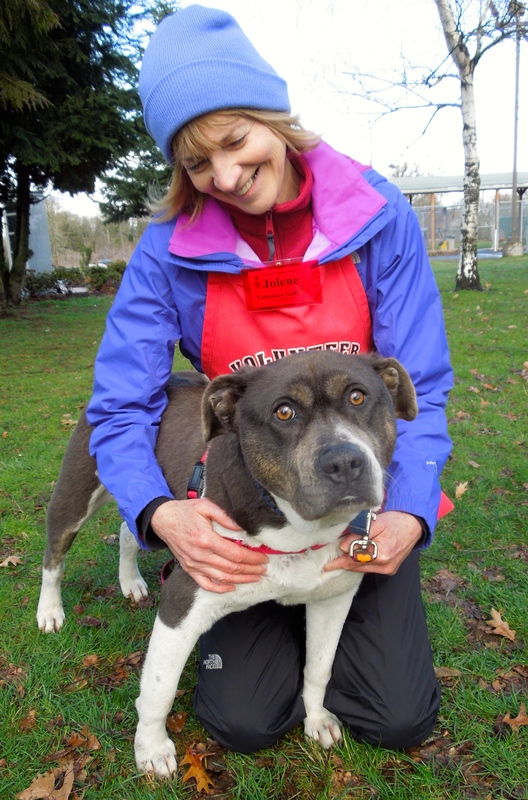 We think she will do well with children and other dogs. She is one of my current favorites. Emelynn and I spent some quality time with one of our favorites, Cromwell, this afternoon. 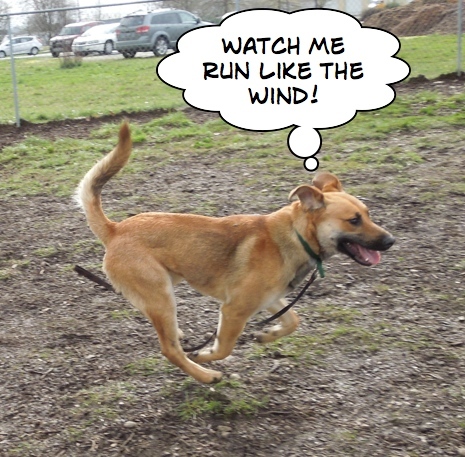 Cromwell is a one-year-old Shepherd mix. He can be a bit nervous at first, but warms up quickly. 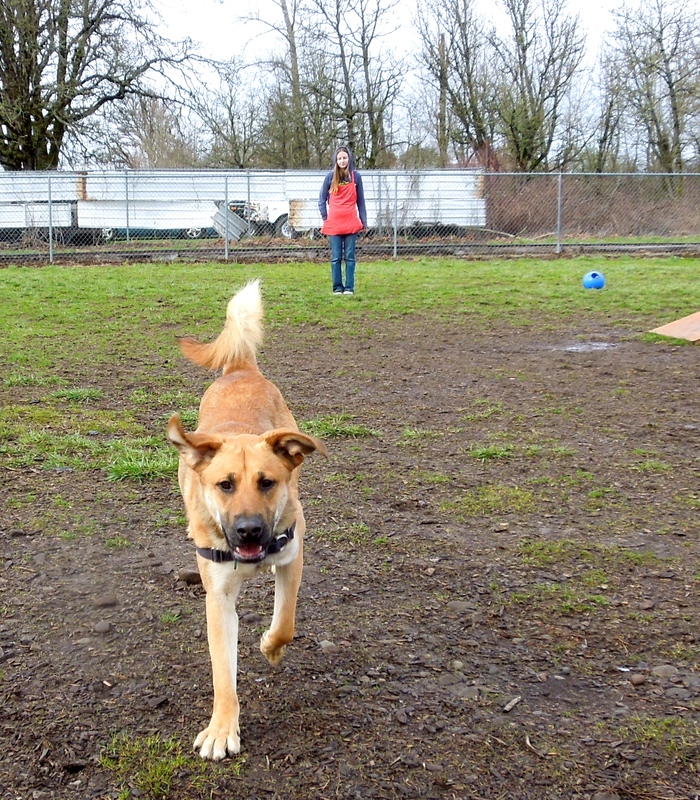 He had a wonderful time in play group on Sunday, getting along with other dogs and enjoying simply running. Emelynn and I decided to play the “Come Get It” game with him and he LOVED it. Back and forth he would race, first to Emelynn, make a screeching stop, sit, get a treat, then race back to me. We took a tired boy back to his kennel. We’re hoping the perfect fit of a family will find him soon. We have two fun updates today. First, a dog I never got the chance to meet. She came to us as a puppy, went straight to a foster home, then was adopted from there. 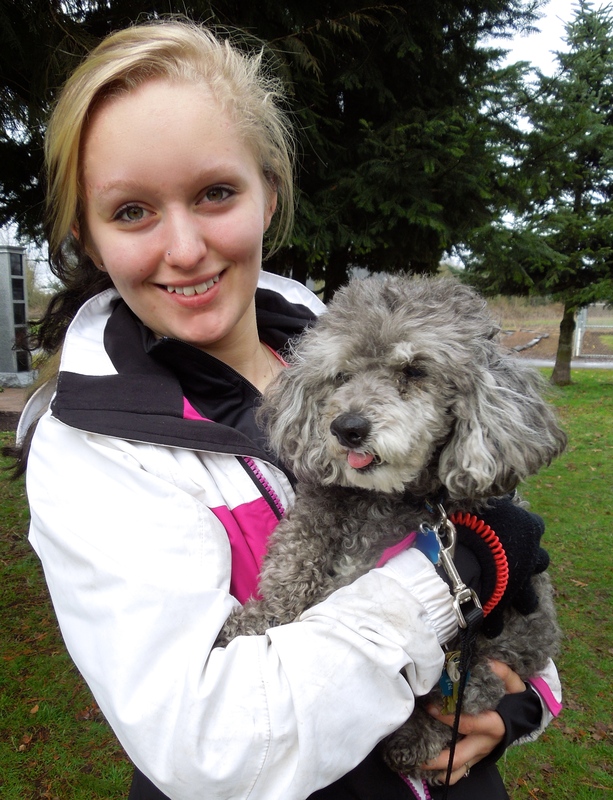 Here Rainbow was when she first arrived at WHS. Remember Bear? Here he was at WHS. Loved this guy when he was was at the shelter. If someone had asked if he would get along with cats, I think I would have doubted it. “I just wanted to send you an update on Bear. He is doing so well. We have a good routine in the mornings. He is really attached to us as a family. He loves to go for car rides. He wants at least one car ride a day. The cats and he have really gotten along. They even play together. He is so excited when I get home from work. 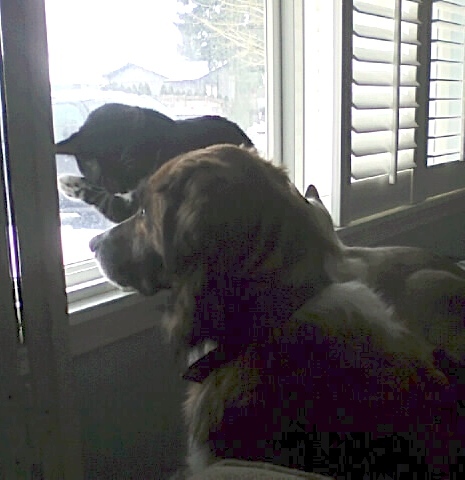 The picture is of two of our cats and Bear looking out the window at the birds after the snow. Very cool bunch of happy dogs. ESPECIALLY the handsome one named after ME! !